It has been quite a long time since my last post, but I am telling you, summer in this tiny town I live in, Haapsalu, is full of life and it is really hard to find time for sewing lately! 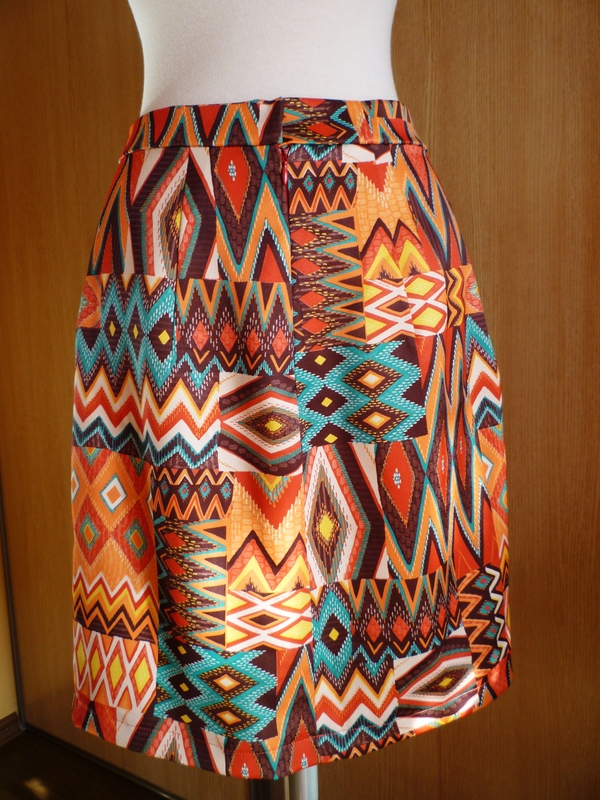 Nevertheless, there are a few projects on the finishing line and the tribal print skirt has been finished for at least two weeks already, just never found time to take the photos. 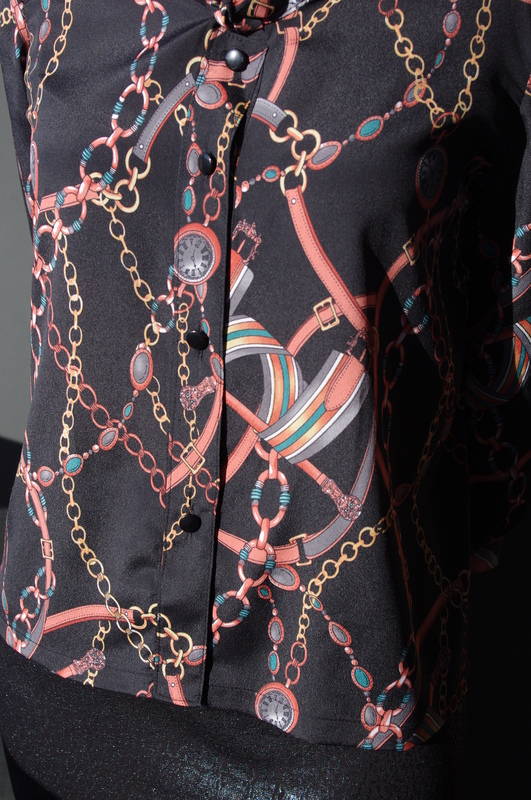 The fabric is stretch polyester sateen, one of the fabrics I got from my trip to Austria in May. 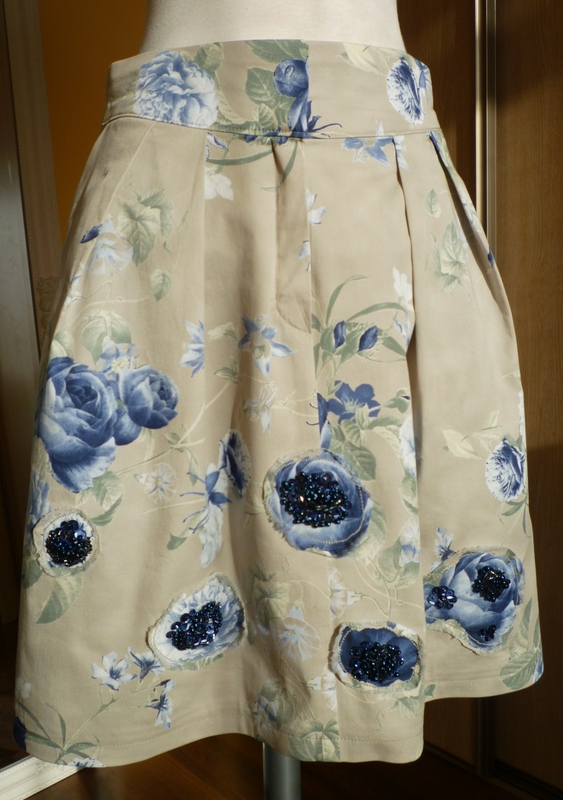 Of course when I saw the fabric, I wanted to make a dress again, but firstly because it was quite expensive and secondly because I have too many dresses already, I allowed myself to get only 70 cm of it. 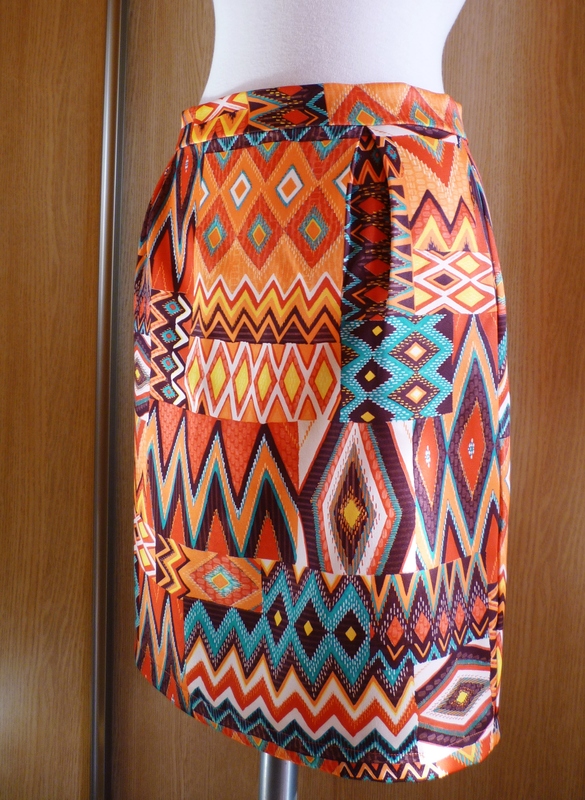 It was exactly enough to use it for Burda April 2013 model 117b skirt. I cut Burda size 38 which fits just fine. I omitted the vent in the back, because my skirt is wide enough to allow comfortable walking. 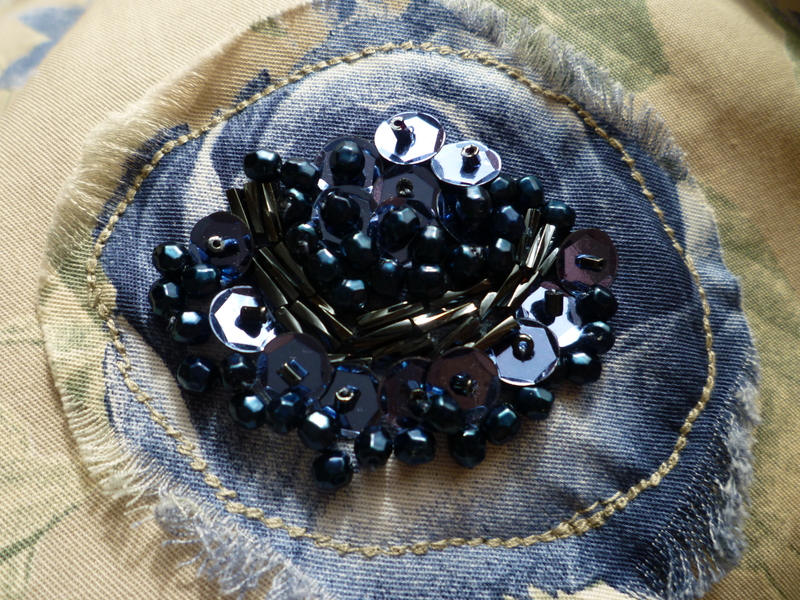 Another thing I changed was the width of the waistband, the one according to the pattern was way too narrow to my taste (2 cm), so I made a new one, which is 3.5 cm wide. 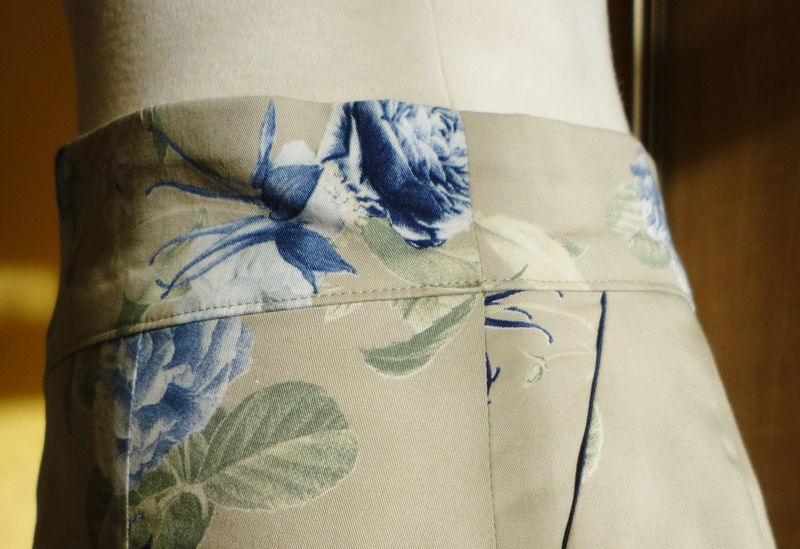 I also added a hook and eye to the waistband as the zipper was inserted only up to the waistband. 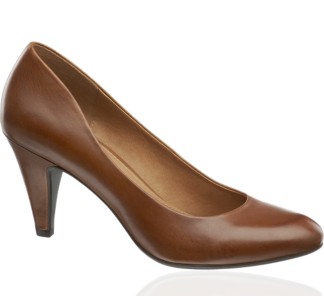 The shoes are also bought from Austria, must be somewhat of a private label by Humanic. 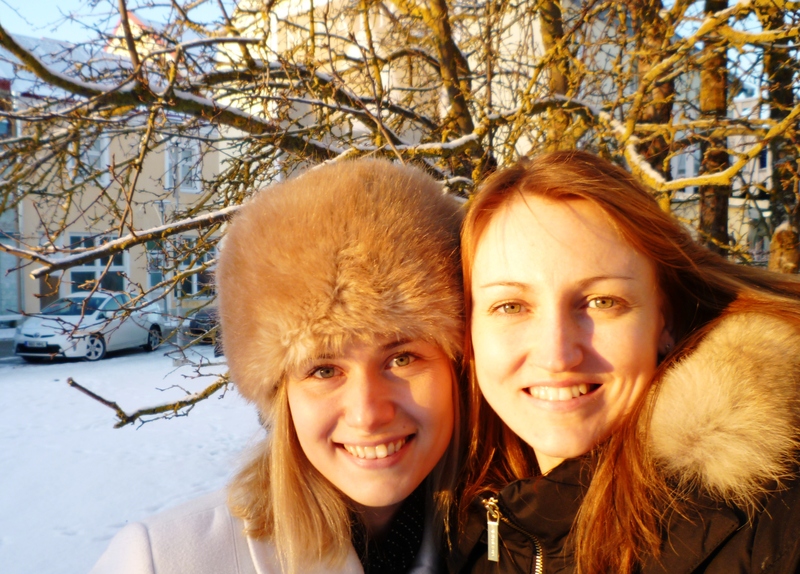 Last weekend I had a wonderful time, as my good friends came to visit me and also helped me take the photos. Here is to summer and friendship! I liked it, but at the same time thought that it would be slightly boring to make. That was until I found a fabric that immediately brought this pattern to my mind. 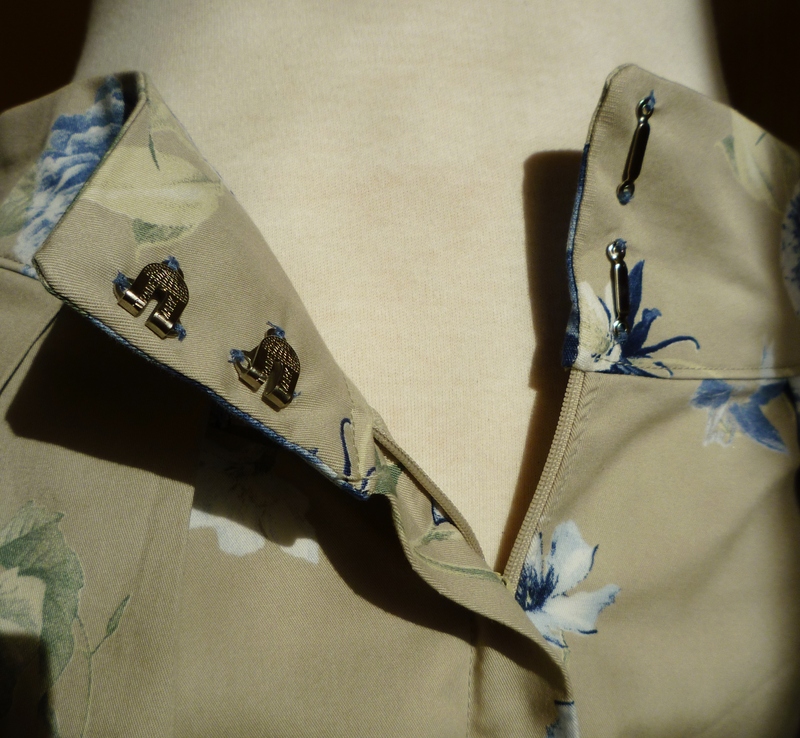 As there are no darts and no princess seams, this blouse was really easy to make. Once again a pattern from Patrones fits me perfectly, I cut my usual Patrones size 42. 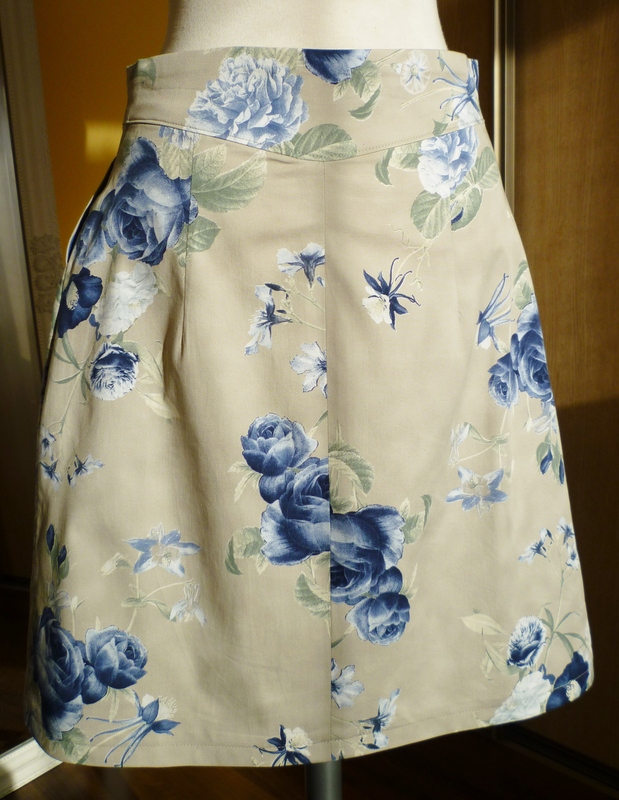 Due to the simplicity of the project and the type of the fabric, I decided to give French seams a try. It does require some extra work, but I really like the result. The garment looks very tidy from outside as well as inside. 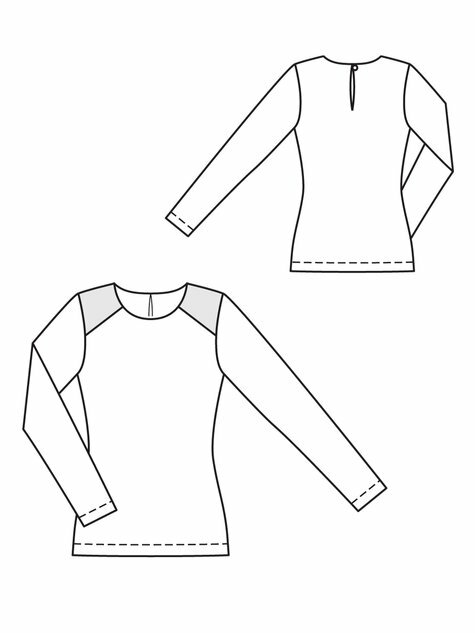 Here is a good tutorial that gave me assurance for finishing the armholes with the same technique. 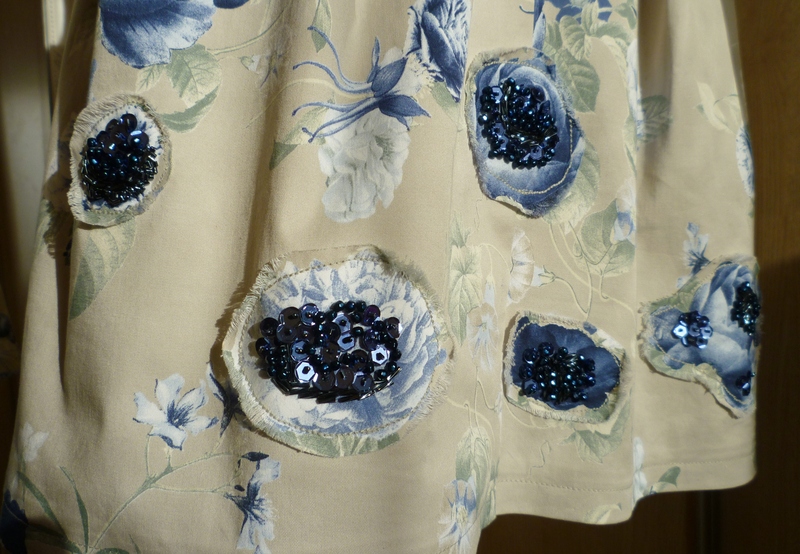 The hardest part was the buttonholes. Not because I wouldn’t know how to use my sewing machine, but I was hoping to finish right before the party, started to rush and as a result messed up a few times. The skirt I am wearing is from summer, more details here. I also tried to style the blouse for a more casual look. 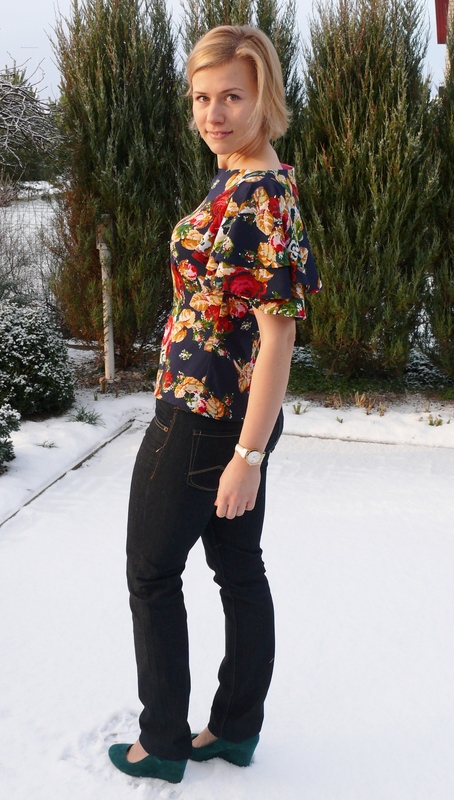 I am not really sure about the 70’s style jeans, but decide for yourself. As you can see from the photos, the sun is really intense. 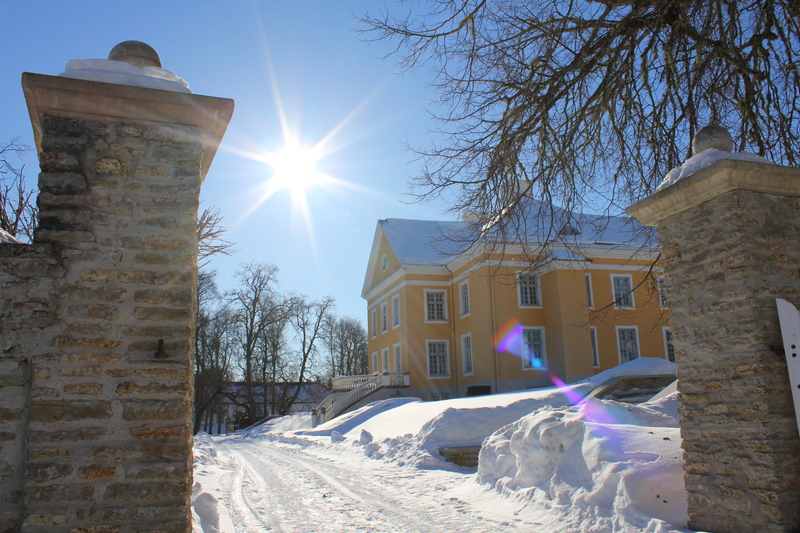 We have had some really nice days here in Estonia, I can feel spring approaching and the days are longer and longer. It is nice to wake up and see the sun rising. The darkness of November and December seems like a bad dream now. Another piece of good news is that thanks to a tip from a cousin of mine, I got myself another sewing dummy! It is actually a decoration mannequin from a shop that is moving to new premises and they are selling their mannequins for 10 and 20 euros (20 for a tall stand). As normally they only sell clothes and accessories, I didn’t take the tip very seriously. 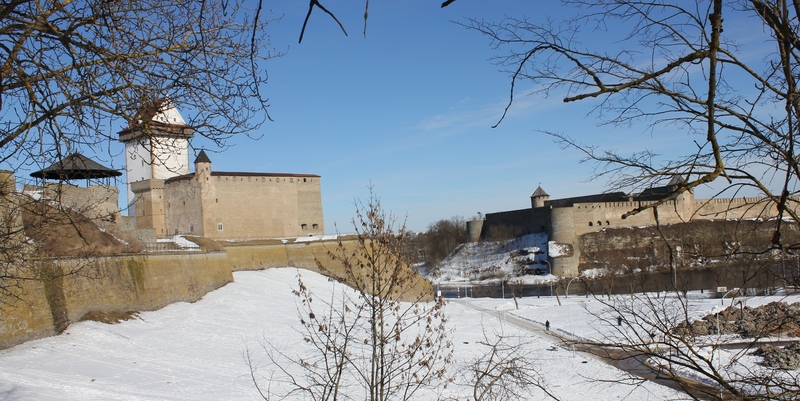 Especially because although it is a chain of shops, the mannequins were allegedly for sale only in Narva, the easternmost town of Estonia, where the majority of inhabitants are Russians. But a colleague of mine has an adventurous mind plus we have two curious Austrian students practicing in our hospital right now and they also got excited of the plan. So we basically drove more than 300 km to Narva and back to get the dummy. Of course we did a lot of sightseeing as well, but the whole idea started off the tip from my cousin. 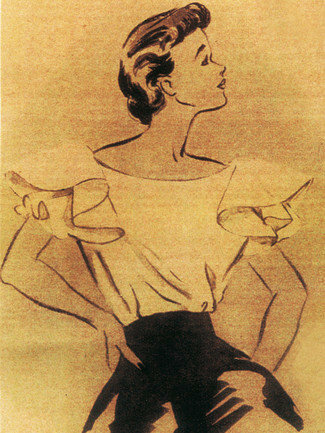 The dummy is a female shape in proportions of a Barbie doll. The waist circumference is 50 cm while the bust is nearly 90! But in order to photograph my projects it is just fine. I have completed the first item of 2013! 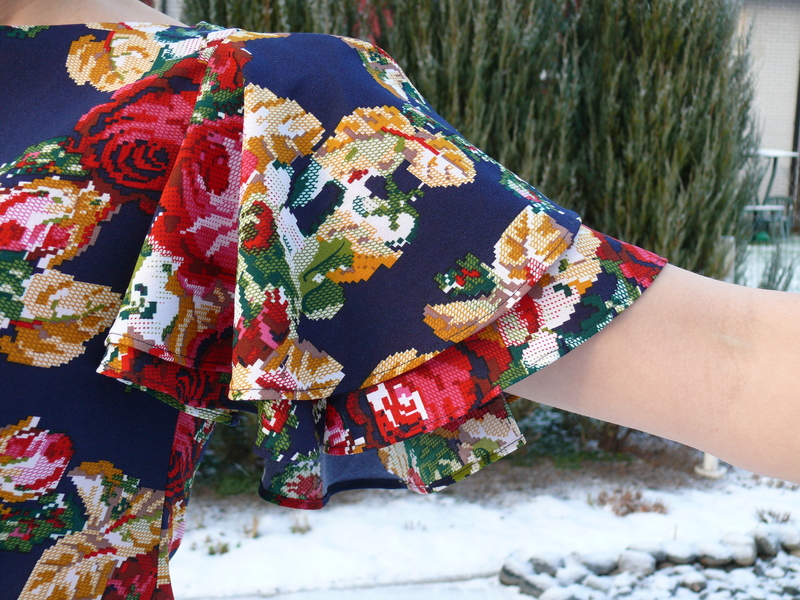 It should be a few hours’ work normally, but it took me a few days because I worked very slowly, bit by bit after work and when my friend Sirli came over for the weekend, I excused myself for a moment to finish off the sleeve hems so that she could take the photos. 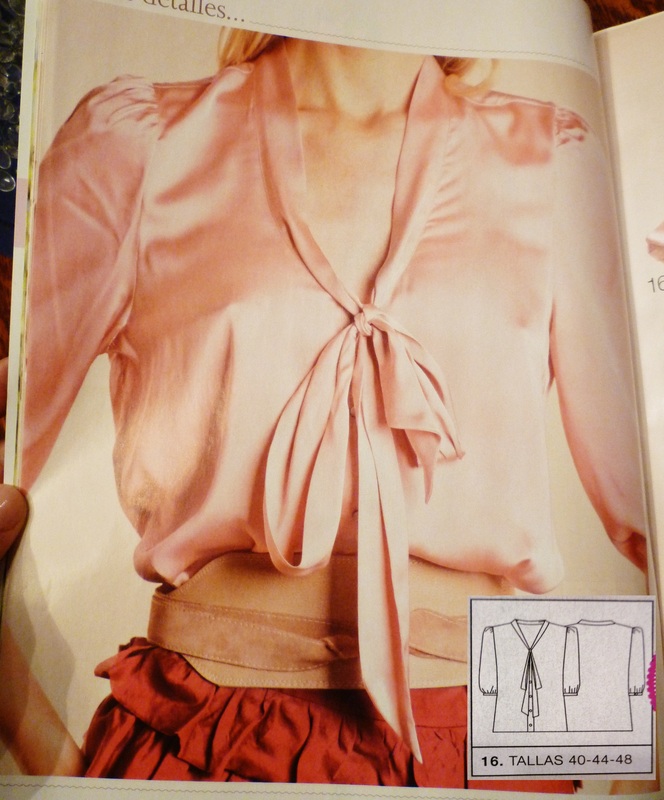 It is the popular Burda September 2012, model 123A top. 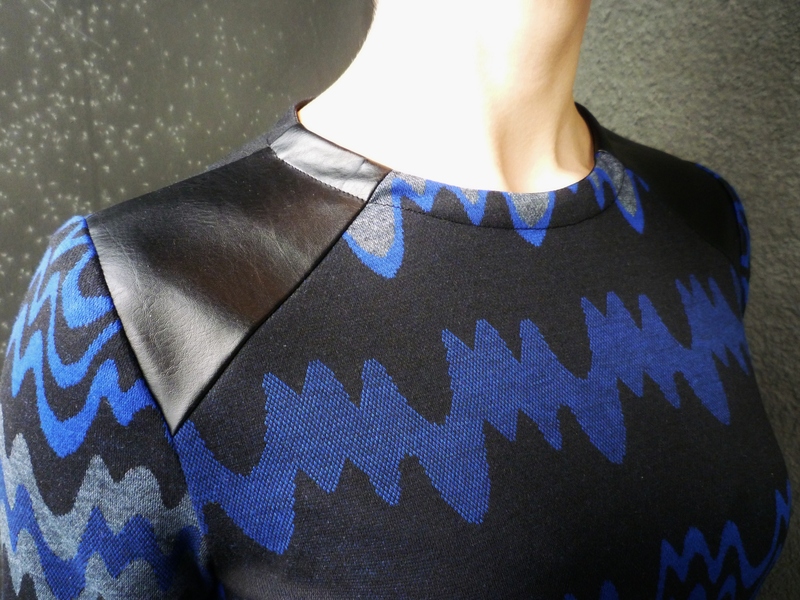 I remember seeing the design and the first idea was to make it with faux leather shoulder details. I was a bit surprised seeing this sewn up in many ways, but no one made it with faux leather, until one very nice version showed up on Burdastyle.com, it should be visible here. The fabric I used is a lighter type of ponte knit, I grabbed it just a few days before leaving Athens. 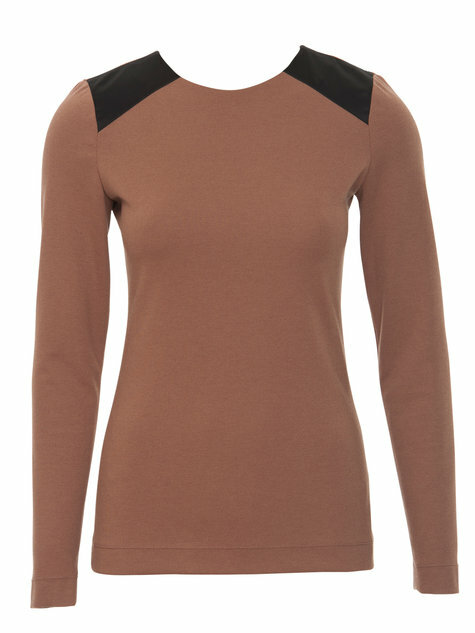 It was available in three colourways, blue, grey-black and red. The blue seemed to be the most popular by far, it was selling out fast and I managed to get the last 1.7 meters off the roll. I regret not getting the red version as well. I also regret not thinking ahead and making it into a dress, using the same pattern. 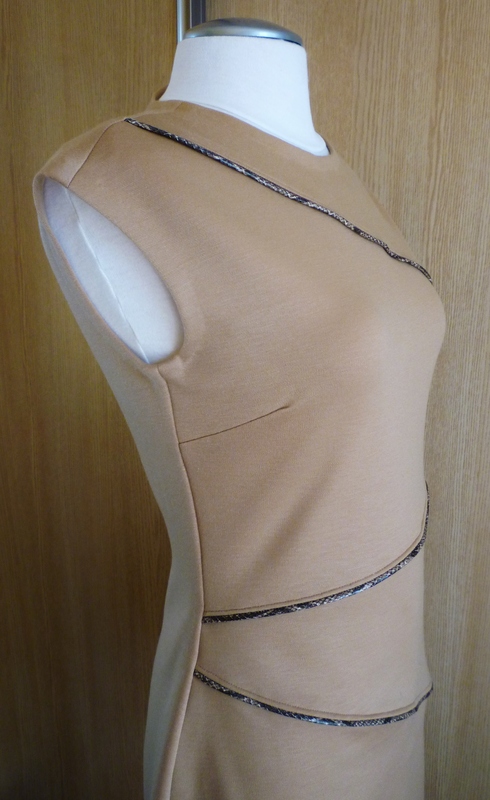 I cut the top a bit longer to see, if I would go with the view B of the pattern, that has gathered side seams and only then did I see the potential for a great dress, but the fabric was not enough anymore. In general, due to the stripe match-up, I spent more fabric on the top than I would normally have. 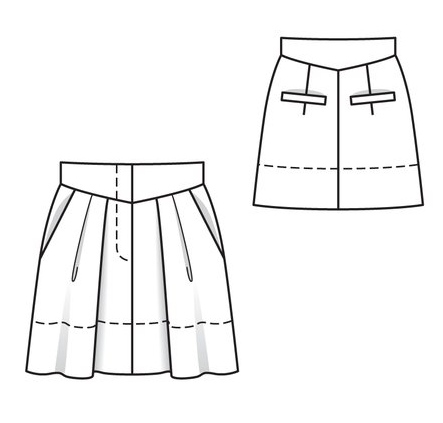 Now I am debating whether to try and make a skirt that would combine the faux leather and the remnants of the fabric, so that I could wear the two separately or as a set. I am not sure, because I don’t have much of the leather left and I might want to use it for some other projects as well, so if the skirt will not be a success, I will end up with two wasted materials. We’ll see. So, I used ponte knit and after reading some reviews, decided not to make an opening on the back. I used bias tape instead, which made the neckhole a tad less elastic than the ponte knit would have allowed, but it is exactly large enough for my head to pass through and at the same time will probably not stretch out. In order to use this technique, I had to sew through the faux leather details as well, which only gave me one shot to get it right, because if I had to rip the stitches afterwards, the details would have been spoiled. Another issue was that if the faux leather is facing towards the metallic plate of the sewing machine, the teeth of the machine ruin the material completely, as it gets stuck there. In order to avoid that, I placed some scraps of pattern paper under the leather parts and everything went smoothly! 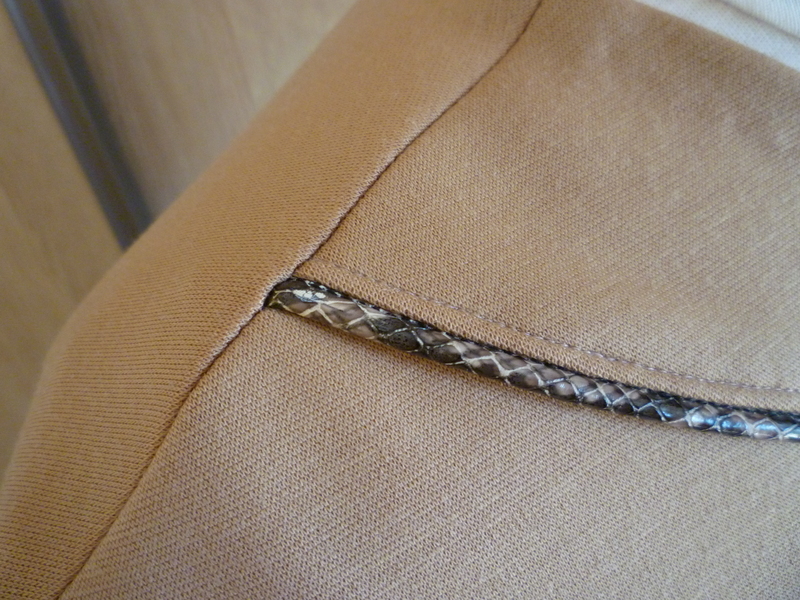 The sleeves and lower hem was finished with a double needle stitch for stretch and more professional finish. I remember reading a review saying that the sleeves are too long and this was also the case with me. I had to shorten them approximately 4 cm, so basically I didn’t have to add any seam allowance. My regular Burda size 38 was fine this time as well, no other adjustments were necessary. I am very satisfied with the result, I think it a versatile item that can be combined with many other things in my wardrobe and it is also very comfortable. Also, I have spoiled some striped projects in the past, but this one is lined up, even the sleeves are exactly the same! The blue suede shoes are Nine West Tariko, another grab from Athens just before coming to Estonia. 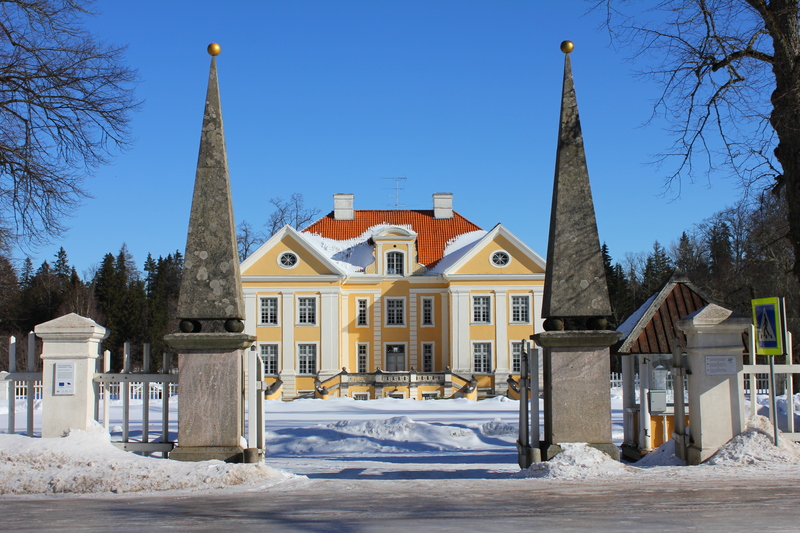 In addition to the satisfaction of a new garment, I had a very nice weekend, chatting non-stop over a bottle of wine on Saturday evening and having a relaxing time at the local pool today, finishing it off with the best cakes on Earth from a tiny coffee-shop in Haapsalu. I thought to take a photo, but when the freshly made cakes were served, everything else was forgotten! I am so glad that I can FINALLY show you something that isn´t from Out Of The Closet series again! It is the first finished object since I started working in Estonia and the available time and energy for my hobby diminished remarkably. As I have mentioned before, I wanted to finish the dress for the Christmas party with the colleagues and I managed right on time. The photos were taken during the party and after some prolonged sitting at the table, so forgive me the slightly wrinkled look of the dress. 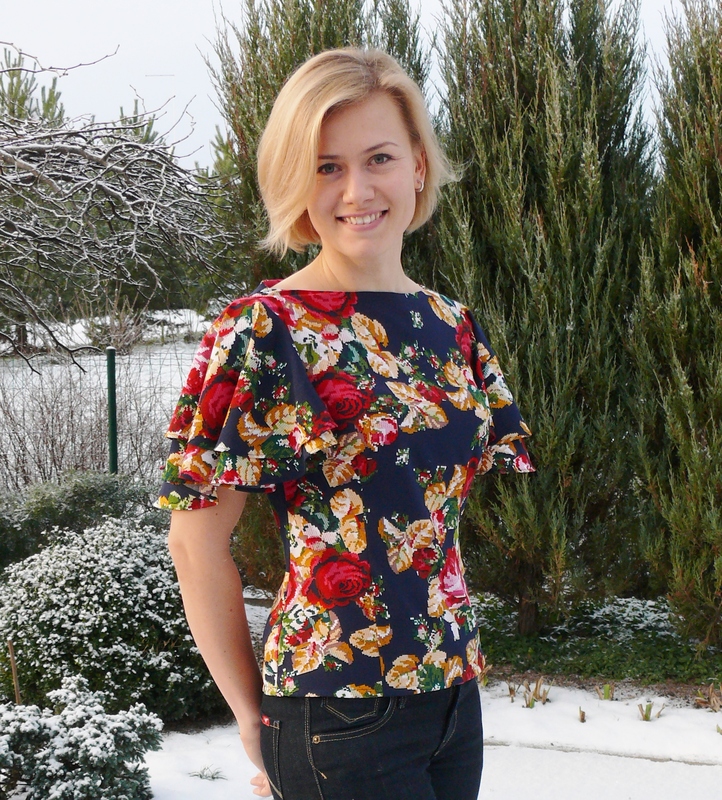 The pattern is rather old – Burda 11/2008 issue, model 135, but I think it is kind of an evergreen style. 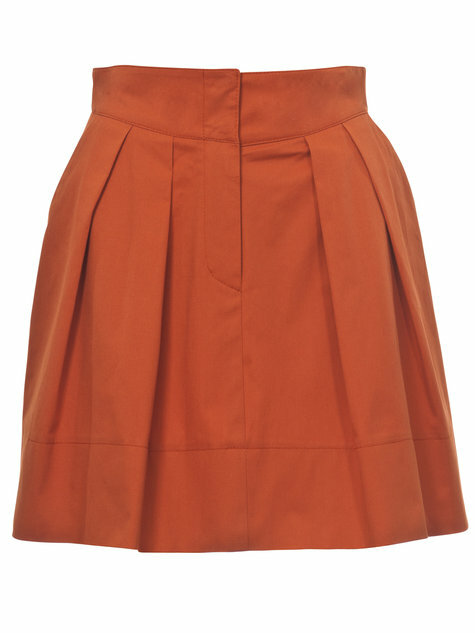 There is a really nice version of the dress here. This is what actually made me fall in love with the pattern in the first place, the black Burda version is not really inspiring. 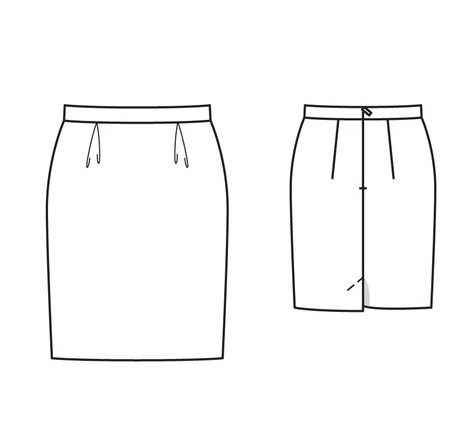 During my long holiday in Estonia in summer, I borrowed a bunch of Burdas from the local library and traced quite a lot of patterns (because I never thought that just a couple of months later I would make such a huge step of moving here for a longer period). This is one of them. 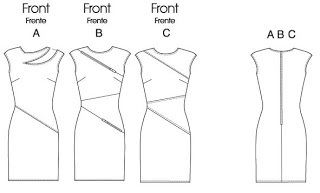 The pattern is easy to sew and the only more complicated part is the front pleating and maybe the shoulder seams, since the upper part of the dress is lined. 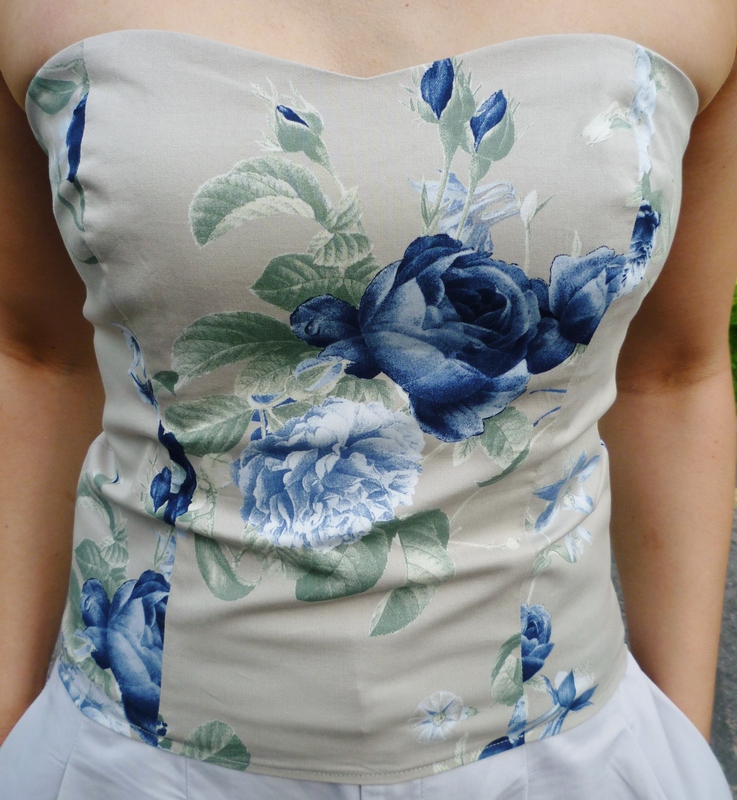 The material, slightly stretchy cotton sateen, is probably my favorite fabric to sew with. 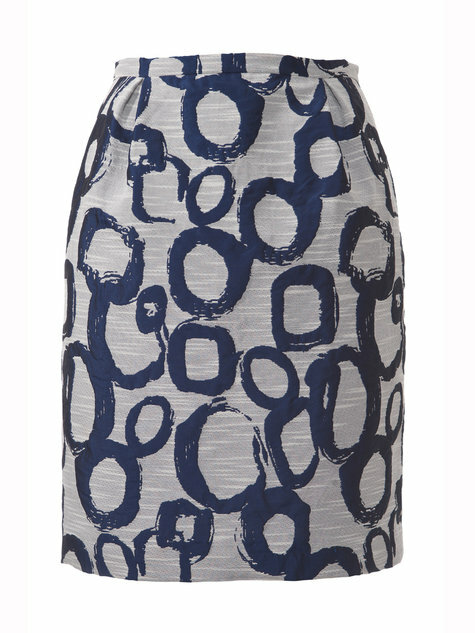 I got the fabric among some others just before leaving Athens and it was bought having this pattern in mind already. I didnt make any major alterations to the dress, apart from having to take in at the shoulder seams, in order to bring the whole thing up a bit. It is a bit of a nuisance as anyone who has sewn similar shoulder seams knows, but I chewed myself through and thankfully this fixed the problem. 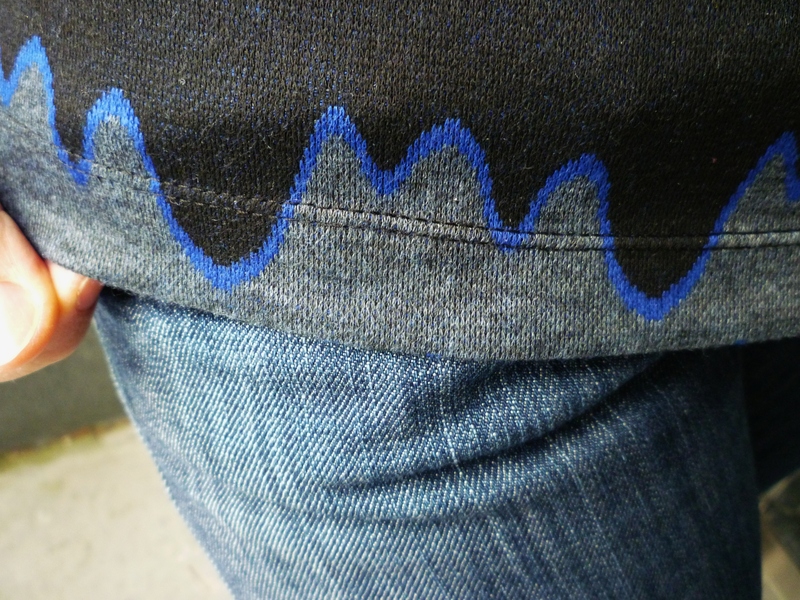 I also had to take in slightly at the side seams, which was somewhat of a surprise. 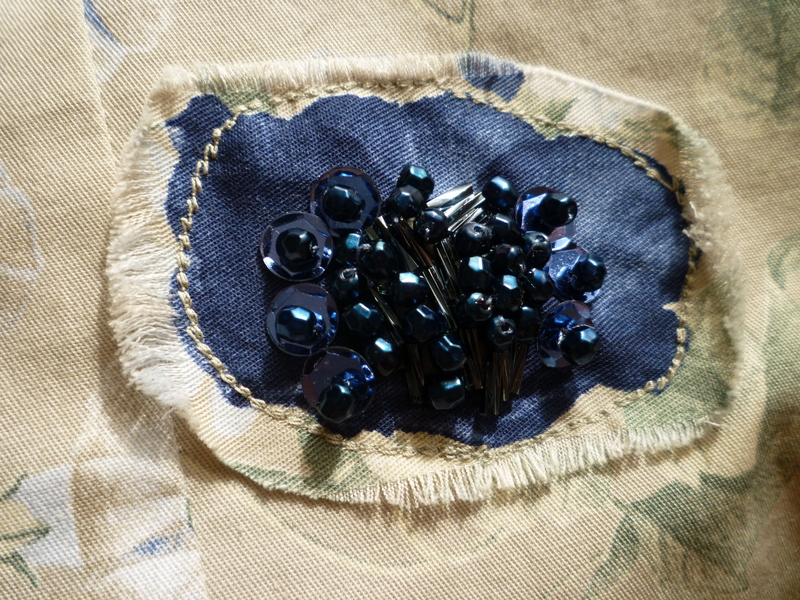 I didn´t use double needle for hemming although this is what the pattern calls for. 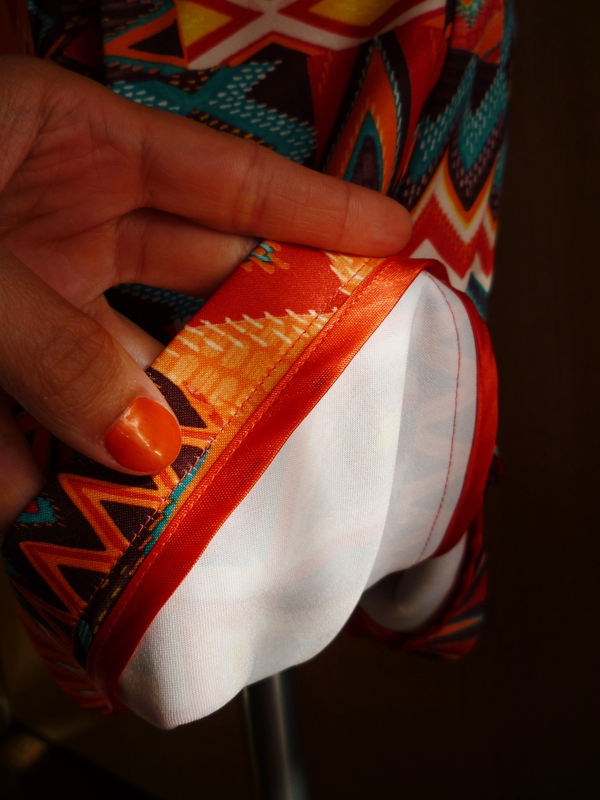 Instead, I folded the hem over and hand stitched it so that the stitches are not visible on the outside. 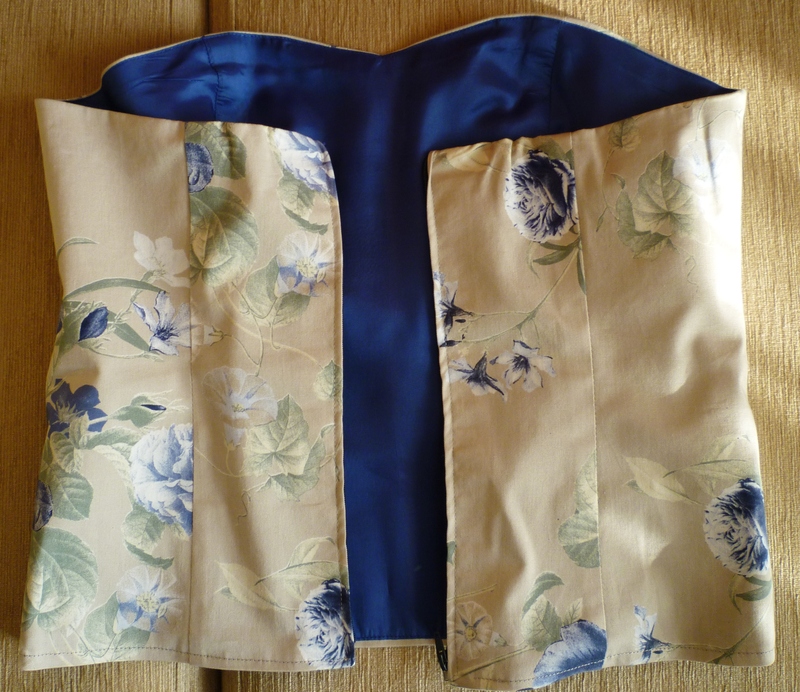 I thought it would look nicer but actually the fold still shows so I don´t think I gained much from all the hand sewing. 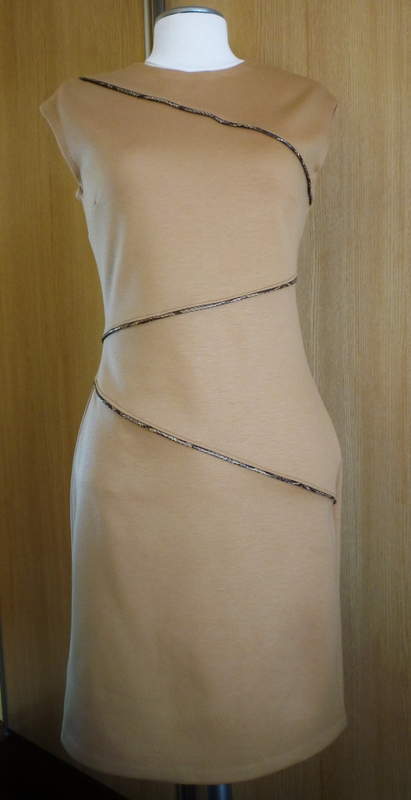 If I made the dress again, I would probably go for the double needle. 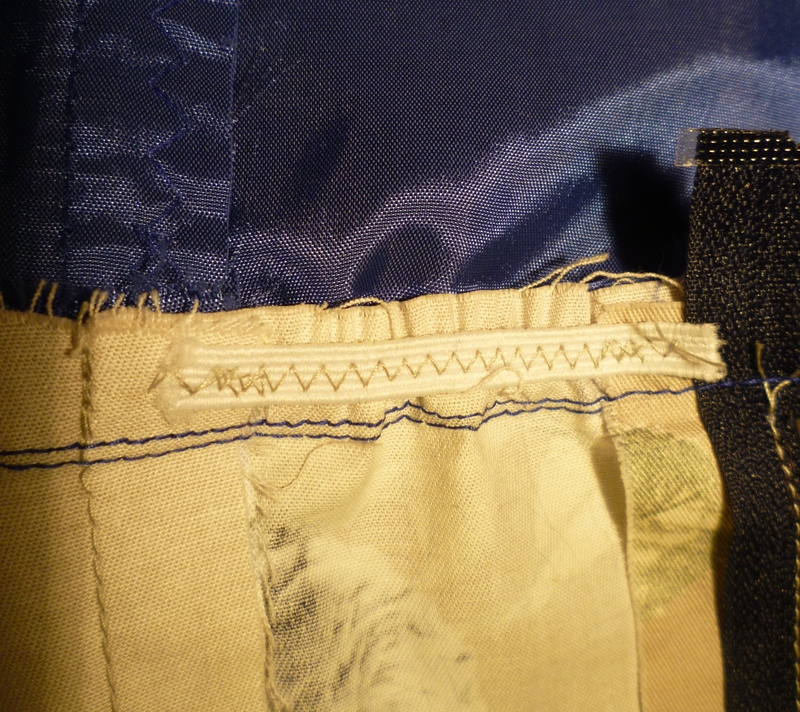 The seam allowances were finished off with bias tape. I actually like that the tape is not in an identical shade with the fabric. The lining (or should I call it facing?) is attached at the side seams and front by a few hand stitches. The shoes I am wearing are Bourne Christy. Probably my favourite party shoes, they are not too high and they always catch a lot of positive attention. 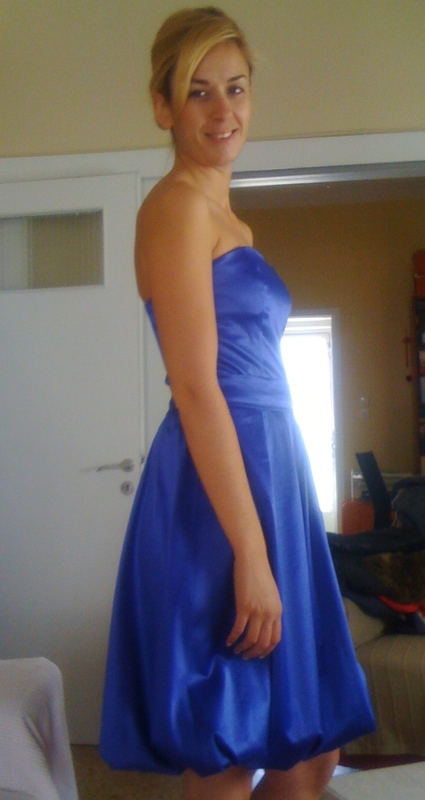 The Christmas party was fun as well, I danced quite a lot which is good, since I can´t remember the last time I did so! 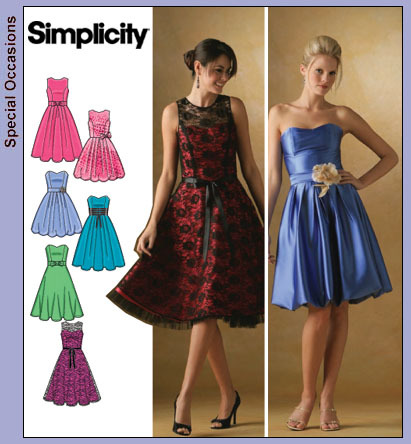 To my great surprise, I noticed that I made this last dress of the year in The Color Of The Year 2013, according to Pantone (“known worldwide as the standard language for color communication from designer to manufacturer to retailer to customer” as they say on their website) – emerald. Anyone who is more interested in the topic, can also check out their fashion color report for spring 2013, that includes more shades in addition to the emerald.